This is a further video in my on-course series and looks at course strategy and highlights the all-important 'shot planning' phase of the Pre Shot Routine. How often do we as good golfers, stand up to the ball without a clearly defined outcome? Often I find myself either disengaged or more focused on the 'HOW TO', technical elements of the shot. This is a terrific exercise to do on the course; verbalise exactly what you intend to do on every shot. This took some planning and you will see in the video that I used my laser quite extensively to calculate carry and run out distances of every bunker and hazard that was in play. From there, I was able to pick the biggest targets. Getting the club shaft to shallow 'onto plane' in transition is a huge topic in modern coaching. This video comes from my new course, 'Side-on Mechanics' where I elaborate much more on the topic but for now, let's just say that when the club is on plane early in the downswing (and the club face is strong) then the player can move freely through ball and take advantage of a host of benefits that all add up to further, straighter shots. Although there are a number of factors involved in shallowing the shaft in transition, there is no stronger influence than the direction that the hands move in. Even with an outward movement of the hands you still need to allow the right shoulder to rotate externally. If you are gripping the club excessively tight and thus, resisting the shallowing motion then, of course, you are just going to create an over the top pattern instead. What is Expert Club Fitting in Golf? It seems to be an industry wide problem that the role of club fitter and that of the coach are too often set on divergent courses. One is trying to fit to the current swing pattern while the other is working to change the pattern. Clearly, for the process to work well, the coach, fitter and player need to agree on what they are trying to achive to find a solution that is harmonious the players end goal. In this article, I take a coaching perspective and explore the opportunity of fitting your clubs to help improve your movement. We then hear from David Griffiths who takes the fitter's perspective. 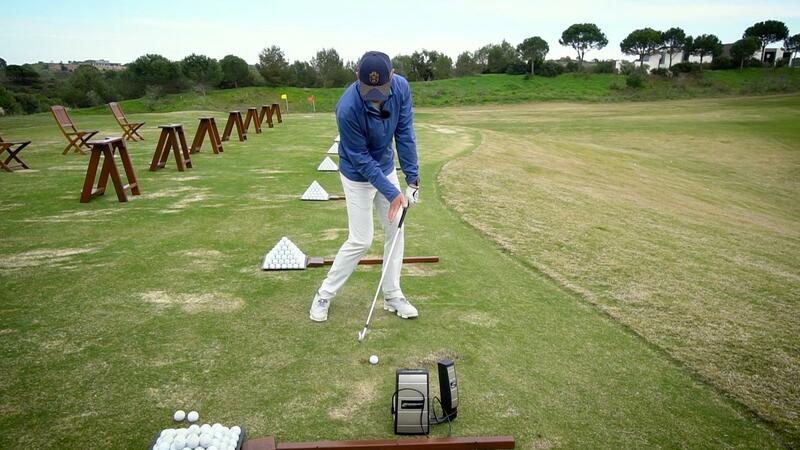 While it takes hard work and dedicated practise to improve your ball striking, anyone can learn to think like a pro. Put the kettle on and enjoy the video. This one could have an immediate and groundbreaking effect on your scores. As part of the 'Keep Golf Simple' programme I recently played 5 holes at the very challenging Monte Rei course. The aim was to demonstrate an effective strategy and bring to light just how much it can benefit your game. To this end, I took a super conservative approach and limited my shot making. These were the rules I tried to stick to. I didn't hit the ball any further than 140 yards. I didn't play any high skill tariff shots. In fact, I limited myself to not hitting anything high or with spin either. It was great fun and felt like I imagine golf was played when it was first invented. After 5 holes I was on track to break 90! 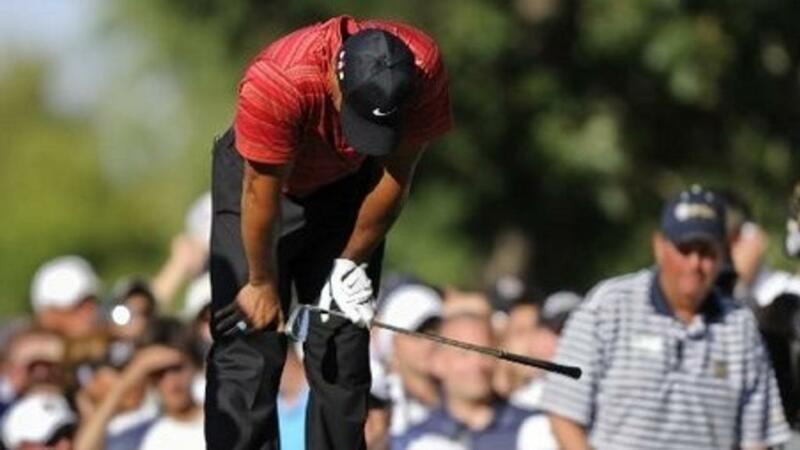 Recent research has indicated that over 30% of golfers have experienced the yips at some time in their career. Yet, there is very little (none until now) coach education on how we help golfers unlucky enough to have this highly debilitating affliction. As a coach, there is nothing worse than feeling helpless as your student struggles on in front of you, yet a standard technique based intervention will often just make things worse. By definition, the yips is an involuntary movement so trying to just change the action via a normal technical intervention is going to be a frustrating experience. Where we put our attention will make a massive difference to your ability to make a smooth and uninterrupted stroke. This is all about creating a strong impact alignment to get the multiple benefits below. Contact with the ball before the ground. This is a big topic for irons where a shaft lean at impact is hugely desirable. With a wood and to a lesser extent, a rescue, we are looking for the shaft to be inline with the ball and return with approximately the neutral loft of the club. Sorry folks, there is no trick, slight of hand or flick of the wrist that creates spin. You need to manage these factors. Having to factor in all these aspects seems like a lengthy process but with experience, it all happens fairly quickly. Angle of attack: It is instinctive to think that hitting down gives us more spin but this is only the case if you are not delofting the club as is often the case as angle of attack increases. I was recently invited on the 'Brain Booster' podcast with Karl Morris. We discussed my research, swing changes and key performance factors in general. If you are interested in the interview then just click on the link at the bottom of the page. Karl Morris has been one of Europe's top Sports Psychologists for many years and has worked with numerous major champions including Darren Clark and Graeme McDowell. He is probably most famous for the 'Red Dot' intervention that he and Louis Oosthuizen used when he won the British Open. This was a Neuro-linguistic programming (NLP) technique known as 'anchoring' that is based on the work by Ivan Pavlov on 'classic conditioning'. It works by associating peak performance states (the mood and level of focus present at moments of peak performance) with the red dot. One of the highlights of the World Scientific Congress of Golf (St Andrews 2016) was Gene Parente. Gene has a golf testing business (Golf Laboratories) that started in 1990 with a machine that was powered by a garage door spring. This has since evolved into the 'Go-to Robot' that is used by all the US-based major manufacturers for equipment testing. The Robot (Eldrik) is powered by Lithium ion batteries and is capable of re-creating any kind of golf shot and launch conditions. The motion of the legs is often described in very broad terms with terms like 'slide' or 'turn'. Given the affect the lower half pivot has on the motion of the club, it is worth understanding what an optimal movement looks like. David Griffiths has very long legs and could end up looking extremely clumsy but in fact; he exemplifies a powerful pivot. In the subscription part of the site, I cover the topic in more detail and discuss the merits of rotation vs sliding laterally. In basic terms, a slide of the pelvis in transition will encourage a steep shaft angle and 'pivot stall/club flip' action through impact. Conversely, pelvis rotation will more naturally lead to the arms moving outward and the shaft shallowing through the downswing, thus enabling the continued pivot through the ball and all the benefits that brings. If you want to become an expert ball striker then you need to own this concept. You will strike your irons more consistently and hit them significantly further! And, with no extra swing effort.